Last week the Technical University Eindhoven (TU/E) has sent an emergency letter to the Minister of Education, Culture and Science. The TU/e is actively acknowledging that there is another side of the medal of growth. The letter shows the same decimal growth rates and requests more funding to sustain the quality of education and the facilities of students. If the government is not willing to fund, the TU/E sees the dire need to implement Numerus Fixus and student selection. As the LSVB already states, the real solution is more financial resources, not excluding people from studies. Numerus Fixus is not a solution as education accessibility is a key value that is shared by students and universities. Moreover, industry and the government says it needs the experts of tomorrow desperately for economic competitiveness and societal sustainability. The minister Bussemakers finds the request for additional financing ‘too easy’. She thinks students can be displaced to other universities. However, she doesn’t understand that studies on different universities are not the same and have their own specialisation or niche. This is particularly the case for Wageningen, where studies have a very distinctive touch the domain of life-sciences that cannot be found elsewhere. 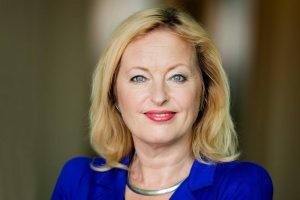 Bussemaker also mentioned that she is happy with the rising growth, but is not willing to compensate fully for her targeted growth, as she says that universities have many other possibilities to find a solution. In Wageningen, we see it now already with a proposed schedule that hinders the quality of education, broad development and personal well-being of students and teachers. The WUR has already calculated the gains of the current room usage with better scheduling and education innovation, but this is by far not enough as Resource shows (20%). Nevertheless, the WUR is financed by the ministry of economic affairs, but the policy of the minister of education is a guideline to finance the WUR. If there is one theme that all current formation parties should agree, it is green and technical education. VVD: Fuelling the knowledge economy by increasing the innovativeness of economic top sectors. Besides the freedom to invest yourself with a study you want. D66: Improve the general quality and accessibility of education in the Netherlands. Hopefully, Bussemakers will understand that additional finance is needed to build education facilities and recruit more teachers. Sometimes the easy solution is also the best solution.